November 27, 2014 - Like us now! Pakistan’s first and largest technology incubator Plan9 recently announced the startups from Lahore that have successfully made it to its 5th incubation cycle. The announcement has been made following the registration phase and a 2-day Launchpad event where 60 teams pitched their startup ideas in front of a panel of judges. 20 teams were short-listed for the 2nd day and 10 were finally selected for the Winter/Spring 2015 cycle of the incubator. A Spotify alternative in essence, Patari is a web- and mobile-based music streaming service that features legally licensed content. WiFiGen enables businesses to gain genuine Facebook page likes and check-ins, and Twitter followers for providing free Wi-Fi to the customers. Smart Shopper will develop a mobile app using which shoppers will be able to scan the barcode on products to automatically generate the bill and use credit cards to pay for it, thus eliminating the need for long queues at retail stores. SMAG aims to develop world’s first smart handbag for women. Hypercube will design and develop small and efficient 4-seater electric vehicles to replace rickshaws and bring down the air and noise pollution contents. SMAC Factory keeps parents informed on the performance of their children in school by constantly updating the student’s results, attendance, schedules, school bus location, and letting the parents and teachers interact easily. EasySell will develop an online auction portal for Pakistani market. Car Mechanic will let car-owners book time slots with a mechanic for the maintenance of their vehicles. Using the service, customers will also be able to get the maintenance service at their door-step. There is a huge demand of Pakistan-made sports products in the world, as witnessed during the recent FIFA World Cup. DSB Sports aims to capitalize on this fact to connect the international brands with local sports goods manufacturers. E-Tajara is a cloud-based solution to simplify the procurement procedures for purchasers by eliminated unnecessary time delays and redundant paperwork. Launchpad events at Islamabad and Karachi are set to take place on 29th-30th November and 6th-7th December respectively. 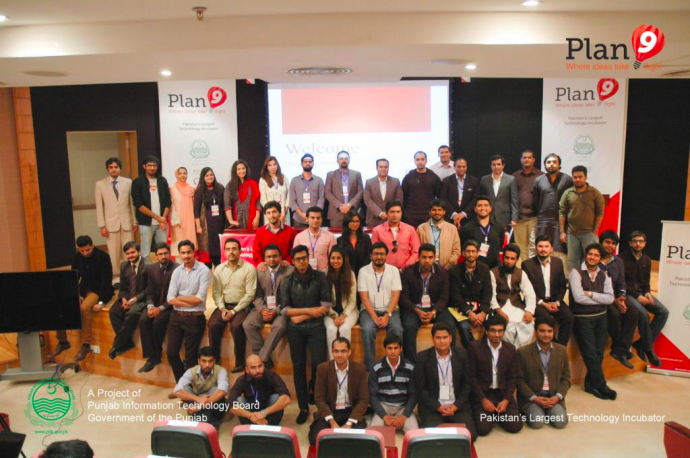 The 5th Plan9 incubation cycle will begin from 3rd week of December later this year.